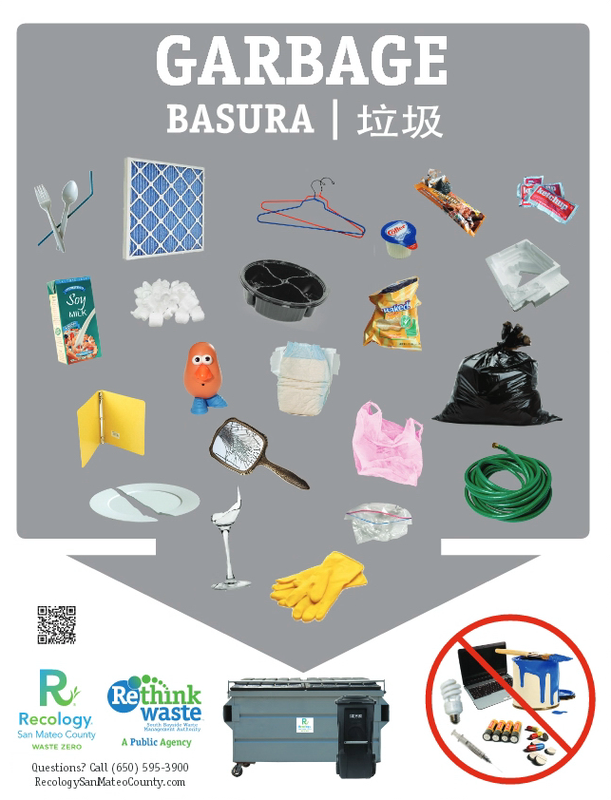 Here are some common items that mistakenly get thrown into recycling that cannot be recycled by Recology of San Mateo. Any “crunchable” plastic (plastic you can crumple up in your hand) even if it has recycling symbols on it, cannot be recycled by Recology. Black plastic, like the plastic from microwave dinners or take out food, absolutely cannot be recycled. Plastic cutlery, long-shelf life cartons like Horizon’s milk containers, and styrofoam all must go to landfill. Styrofoam, my mortal enemy, is going to get a shame post soon going into more detail, but for now, try to avoid it at all costs. Lastly, Mr. Potato Head: the only spud that can’t be composted. Sorry buddy. Previous Post: Which side are you on?